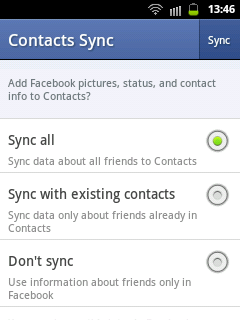 When you login to facebook using their mobile application, you will see an option asking you to select among these choices. - this won't do anything at all. After you have chosen your choice, tap the Sync button at the upper right corner.